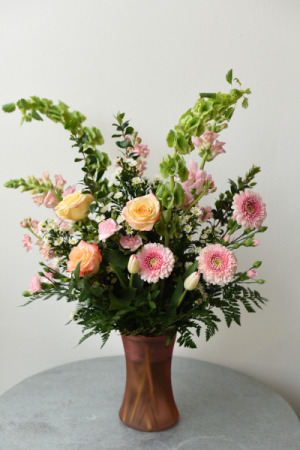 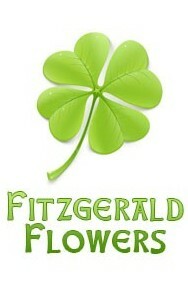 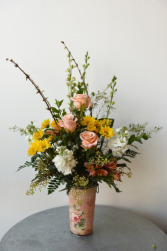 Springy pastels with roses, gerbera daisies, tulips, snapdragons, bells of Ireland, carnations and stock. 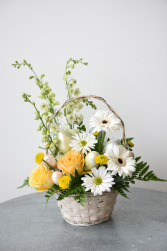 Wicker basket filled with roses, assorted daisies and mums, and easter eggs! 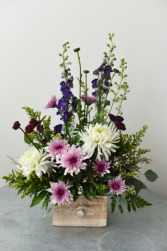 Cute wooden drawer with purples and whites including mums, larkspur, and disbuds.